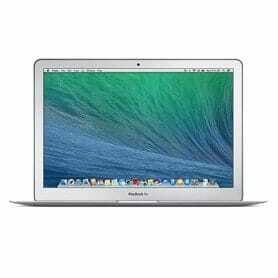 This 13 inch MacBook Air has a cracked LCD panel. The damage can be seen along the top of the screen where there are vertical multicolored lines covering part of the screen. The image on the screen appears underneath these lines. 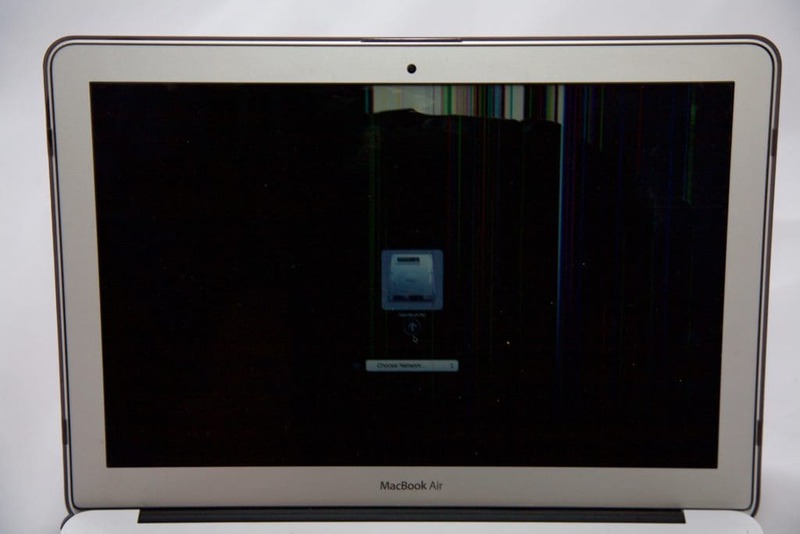 The best way to fix a broken MacBook Air screen like this is to replace the LCD panel with a new LCD. We were able to repair the laptop in under 24 hours.